She arrived at the 1959 New York Toy Fair in a striped bathing suit donning red lipstick and her trademark blonde pony tail. And after 60 years, it is Barbie who continues to touch the lives of young girls as the doll befriends children in households across the country. Manufactured and priced at $3 by American toy company Mattel, Barbie was launched in March 1959 by mother and visionary Ruth Handler. Handler's inspiration behind the three-dimensional fashion doll originated from watching her daughter play with paper dolls. With over 200 careers, multiple makeovers, films and now a social media influence, Barbie is still reaching generations of girls who project their hopes and dreams onto the doll. 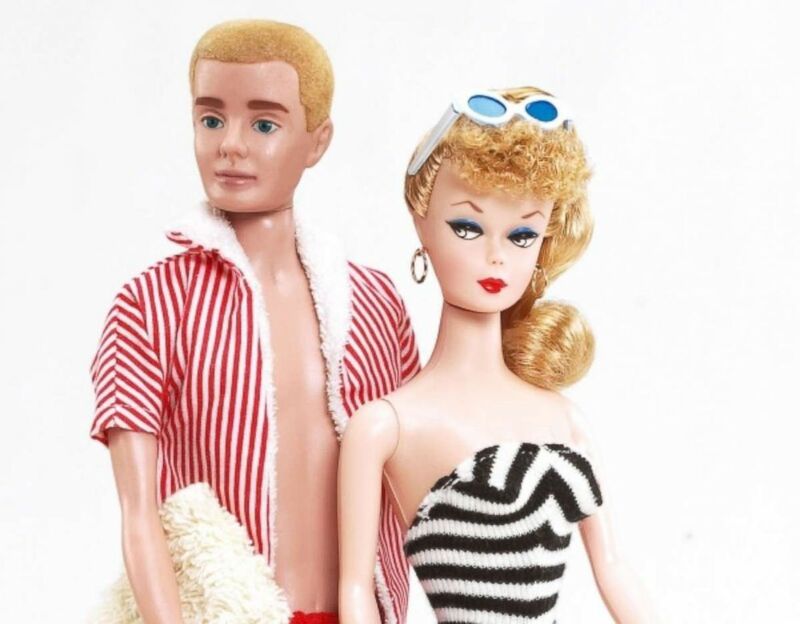 Seen here is a photo of the 1960s-style Barbie and Ken made by American toy company, Mattel. "What Barbie actually delivers to children when they play with her, I don't think people realize how significant that is in child development," said Kim Culmone, Mattel's Vice President of Barbie Design, adding that Barbie helps kids exercise communication and storytelling. "The fact that Barbie has an open-ended play pattern, it puts them in charge as the narrator." 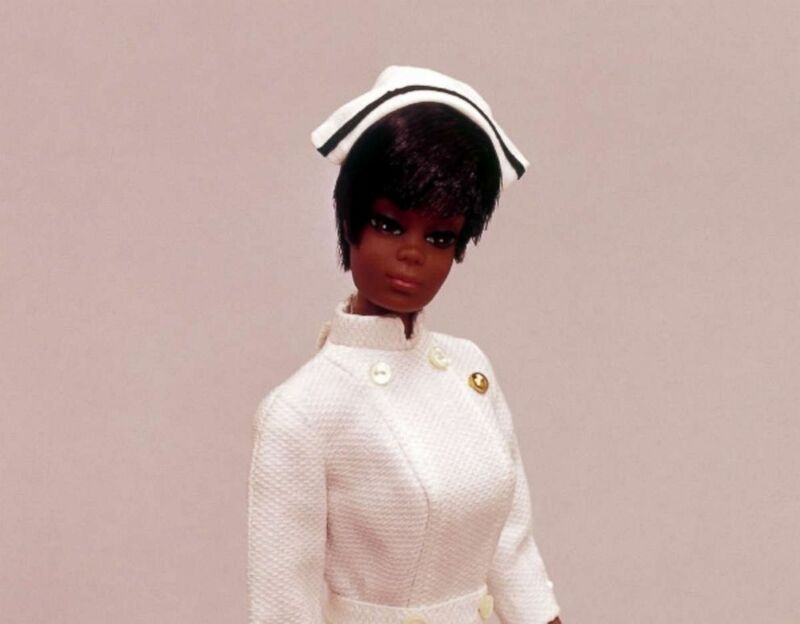 Nurse Julia debuted in September of 1968 by Mattel. In 1963, Barbie graduated college -- but not before becoming a ballerina, singer and a fashion designer. She later went on to be an astronaut, Air Force pilot, Olympian, news anchor, art teacher, nurse and presidential candidate. Seen here is Barbie's Dreamhouse from 1981. 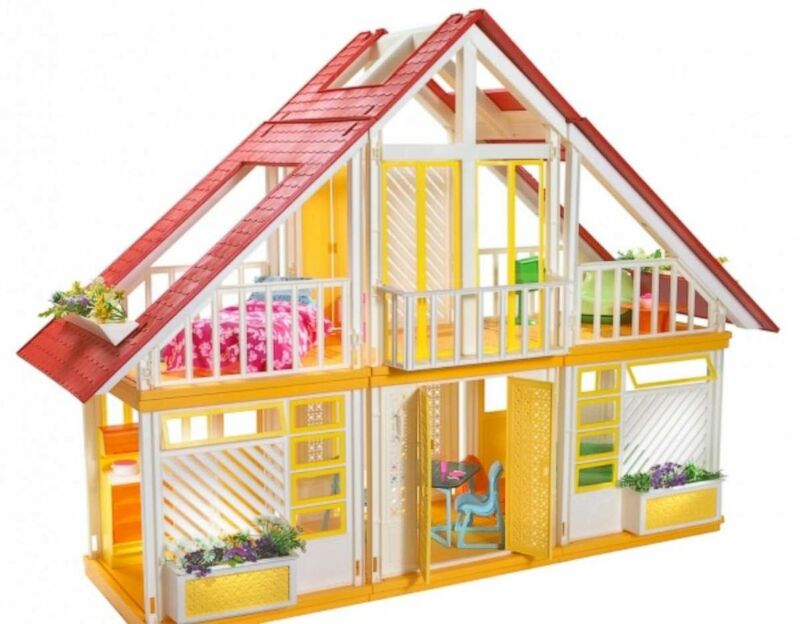 Mattel has re-imagined the Dreamhouse throughout its years in production. Her world includes a gamut of clothing and accessories, familiar friends, transportation and homes -- more popularly know as the Barbie DreamHouse. "I work on everything in Barbie's world," Culmone told "Good Morning America." "[Barbie's friends and sisters] Teresa is still around, Nikki is still around, and Skipper, Stacey and Chelsea are absolutely still in Barbie's life." According to Culmone, more than 100 Barbies are sold every minute. The best-selling version ever was 1992's Totally Hair Barbie, which had long, crimped hair and accessories including Dep hair-styling gel. 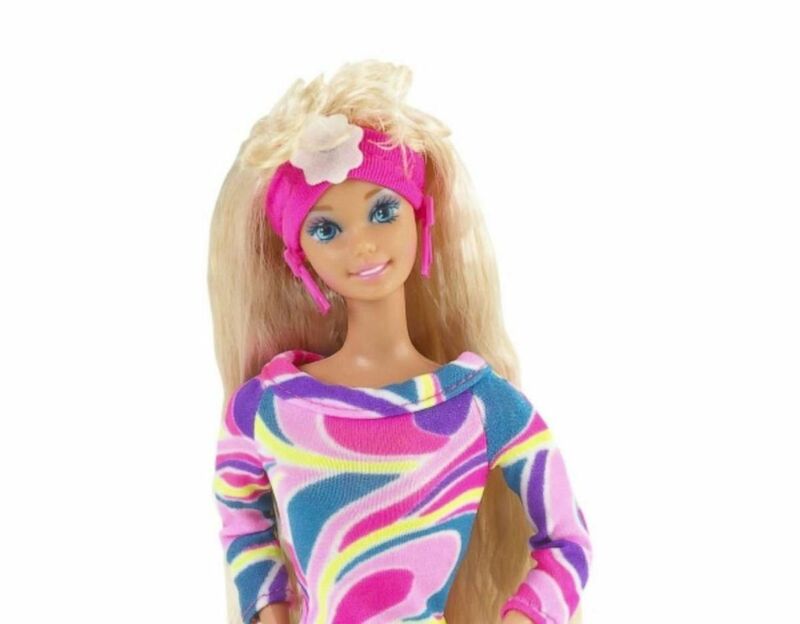 One of the best-selling Barbies of all time, Totally Hair Barbie debuted in 1992 featuring long crimped hair, bendable legs, a colorful outfit and hair gel. Besides the dolls you may remember from TV commercials, characters in Hollywood have also been re-imagined as Barbies including Grace Kelly, Lucille Ball and figures from movies like "Grease" and "The Wizard of Oz." My whole philosophy of Barbie was that, through the doll, the girl could be anything she wanted to be. Barbie always represented the fact that a woman has choices. -Ruth Handler, Barbie's creator. Kate Middleton and Prince William in royal wedding day attire are available to adult collectors. Stars like Katy Perry, Jennifer Lopez and author JK Rowling, among many other familiar faces, all have their own Barbies that look like them. 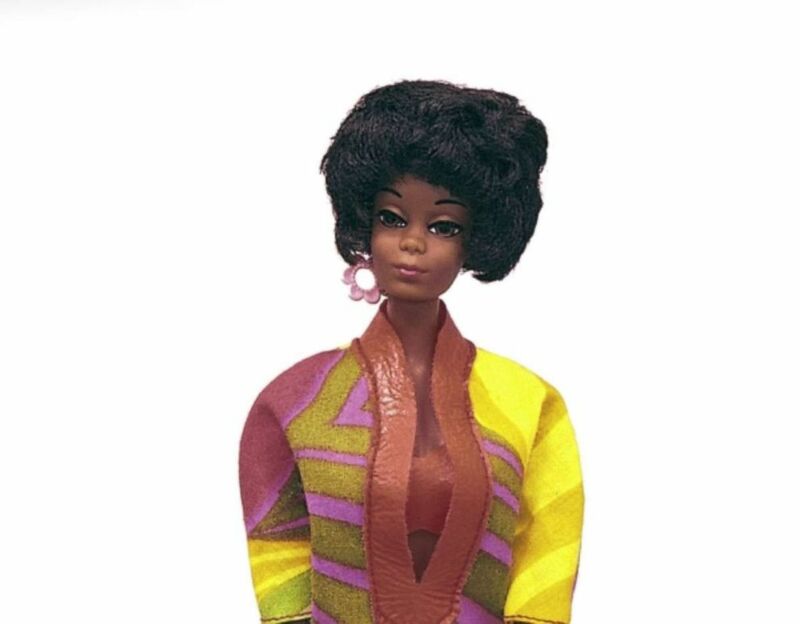 Barbie's first African American girlfriends were introduced in the late 1960s. Later, a Hispanic doll debuted, as well as Barbie from various cultural backgrounds as part of the brand's Dolls of the World collection. Christie, Barbie's first African American friend, debuted in 1969. Over the years, Barbie also underwent changes to her body shape. The transformation came after debates of the doll's unobtainable figure sparked debate and backlash among Barbie fans and protesters alike. "We spend a lot of time listening to consumers and taking feedback seriously within the brand," Culmone said. "In 2014 we were at a point looking at everything that was going on and part of our DNA is to remain reflective within culture and the world around us. We asked ourselves if we were doing a good job of that. Are we being as reflective and representative of the culture today?" Changes in diversity initially took place within Barbie's Fashionistas collection in 2016 by including the four different body types, various skin tones, hair and eye colors. Now, in 2019, Barbie has a new body type featuring a smaller bust, less defined waist and more defined arms, adding to Fashionistas' already-expanded line of curvy, tall and petite shapes. Mattel also announced it's adding dolls with braided hair texture, a new body type and Barbies who reflect permanent physical disabilities. For the first time ever, there will be a doll with a removable prosthetic limb and a doll in a wheelchair. 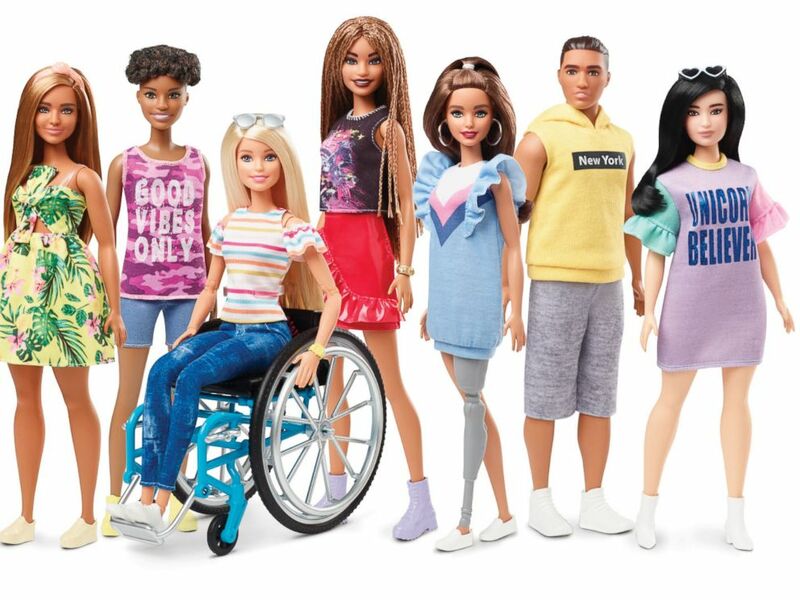 The wheelchair has been one of the most requested accessories from young Barbie fans, according to Mattel. "[She has] the most skin tones, eye and hair colors to give girls a friend that looks just like them," Culmone said. "It's promising that today's Barbie is so much more inclusive than the iconic white, blonde Barbie of years past," Dr. Rebecca Hains, professor of media and communications at Salem State University and author of "Princess Problem: Guiding Our Girls Through the Princess-Obsessed Years," told "GMA." "I think they are doing a much better on race than on body type because even though they call the curvy body type curvy, it scales up to a 5'6” body type and a size 4. It's still an unobtainable body type." Hains went on, "It's the step in the right direction, though. It's better than the previous body scale which was 5'9” and a size 2." Hains said she appreciates Mattel including more ethnically-diverse dolls in its collection. "There are many studies that have been conducted about the consequences of children of color mainly having white dolls to play with," she said. "Children absolutely deserve to see people that look like them...to see that their identity is culturally valued." 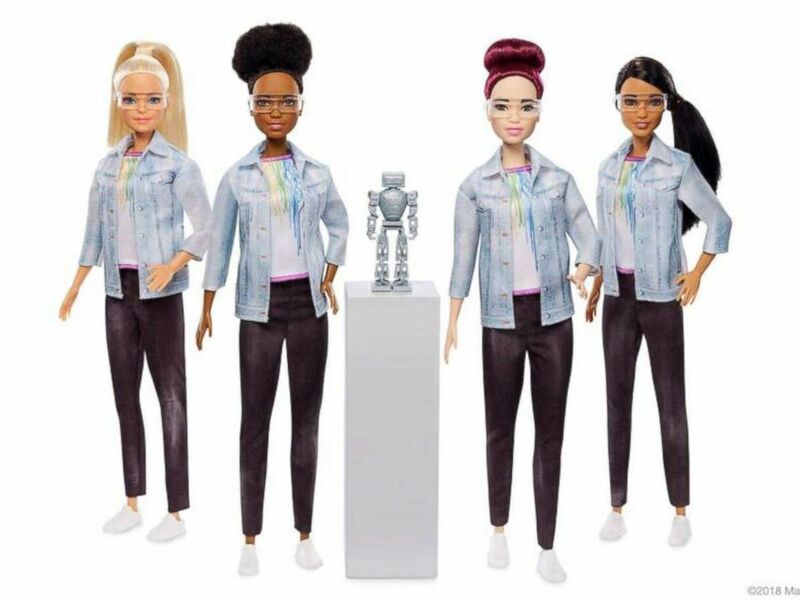 In 2019, Mattel has announced its adding new braid hair texture, a new body type for Barbie and dolls reflecting permanent physical disabilities. Haines added, "It's very meaningful that girls can now go to the store and pick up a Barbie that looks like themselves in terms of skin color, hair texture, face shapes and to lesser extents, the body molds as well." Barbie "Shero" dolls celebrate women who have broken boundaries to inspire the next generation of girls. Olympians Ibtihaj Muhammad and Laurie Hernandez both have their own dolls, for instance. In honor of Barbie's 60th anniversary and International Women’s Day on March 8, Mattel announced it was unveiling dolls from 20 different countries. Representing the U.S. is 19-year-old actress Yara Shahidi. 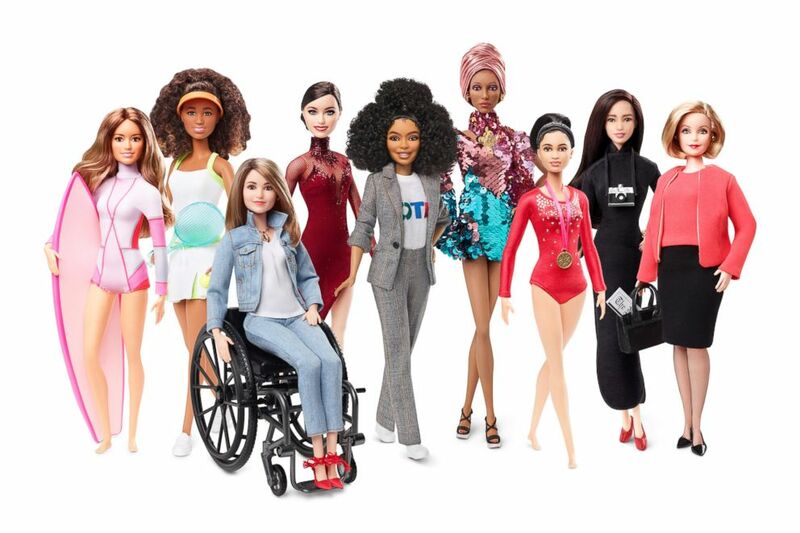 Maya Gabiera, Naomi Osaka, Kristina Vogel, Tessa Virtue, Yara Shahidi, Adwoa Aboah, Dipa Karmakar, Chen Man and Ita Buttrose all received their own Barbie dolls in celebration of Barbie's 60th anniversary. Other role models include tennis player Naomi Osaka of Japan, German cyclist Kristina Vogel, Canadian ice dancer Tessa Virtue, British model Adwoa Aboah, Indian gymnast Dipa Karmakar, Chinese artist Chen Man and Ita Buttrose, a journalist and chairwoman of the Australian Broadcasting Corporation. 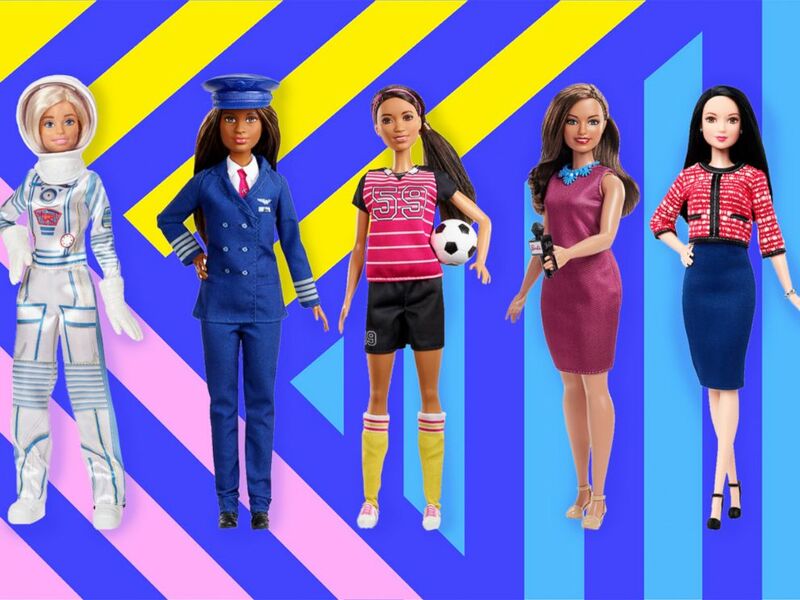 Role models are also portrayed in Barbie's line of "Inspiring Women" and career dolls. Amelia Earhart, Frida Kahlo and NASA's Katherine Johnson are all available for girls to play with and look up to in Barbie form. The new Robotics Engineer barbie comes in different ethnicities. To add to her resume, Barbie holds down jobs as a scientist, builder, beekeeper, yoga instructor and, this year, inspired kids to explore STEM opportunities becoming a robotics engineer. Barbie is active on all social platforms, including her Instagram account, where she gives style tips and celebrates iconic women to look up to. As a vlogger, Barbie now has a digital footprint while infusing teachable moments -- all which are part of the initiatives behind the Dream Gap Project. And in 2018, one of Barbie's most respected vlog episodes, titled "Sorry Reflex," encouraged girls to quit apologizing for, well, everything. "I think there's a bigger issue around 'sorry,'" Barbie says on her vlog, which was viewed on Facebook more than 2 million times. "Especially with girls. We say it a lot." Barbie went on to explain how saying "sorry" too much diminishes our self confidence. "There's so much more power in saying 'thank you' instead of 'sorry,'" she says. On the heels of the doll's 60th birthday, Culmone said it's a proud day being part of Barbie's legacy. "It's humbling to be welcomed into the homes of families," she added.